St Mirren have announced coach Darren Jackson has parted company with the club. 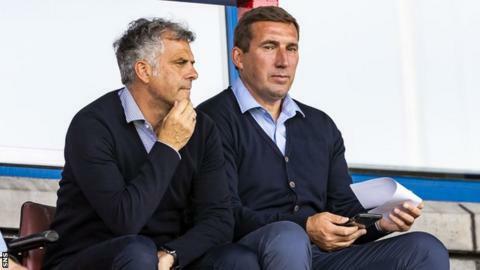 Jackson was brought in as part of Alan Stubbs' staff in June before the Buddies manager lost his job last week. New St Mirren boss Oran Kearney was announced on Friday and Jackson, 52, will not be part of his plans. "St Mirren Football Club can confirm that it has parted company with first team coach Darren Jackson," said a club statement. Former Scotland and Hibernian player Jackson was a Celtic team-mate of Stubbs' and has also coached at Dundee United and Raith Rovers.